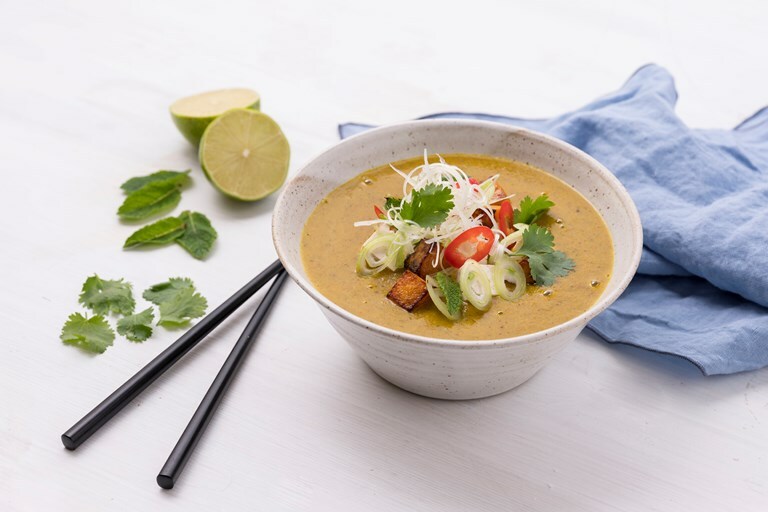 Anna Hansen's butternut squash laksa recipe is a beautiful example of this Malaysian classic, with punchy sweet and sour tamarind and a superbly aromatic laksa paste bringing complex, heady flavour to this noodle soup. The Vitamix blends all of the laksa paste ingredients effortlessly for a smooth, consistent finish. You can freeze any leftover paste spread between sheets of greaseproof paper for easy use in future dishes.